Action on Button Held Down? 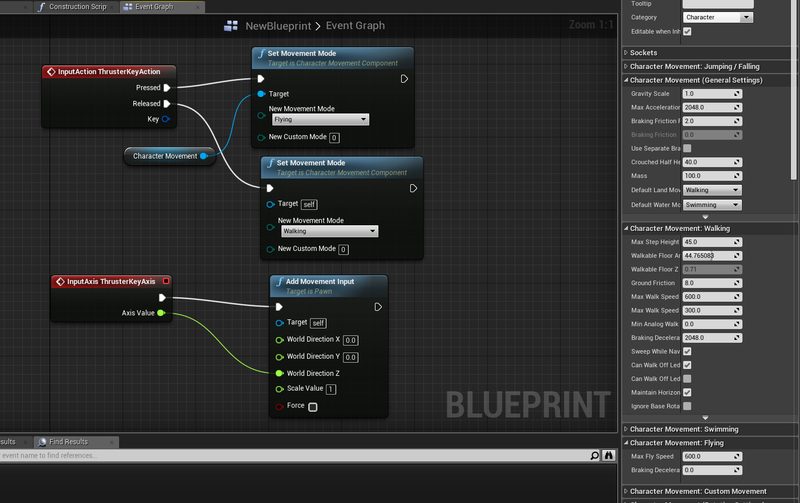 Hi, I'm looking for a way to have a player action continuing active while a button is held down in blueprint. Specifically, I'm using the Launch Character node. So I want Launch Character to be firing and increasing the character velocity as long as the assigned button is held down, and then stop as soon at it is let go. Any advice on how to do this? Create a boolean variable, name it properly like "Is X Button Down", where X is your button name. Link Pressed to a "Set X Button Down" node and check the value on it. This works like a charm- thank you very much! But can you explain what you mean by using Delta Seconds? I see the pin for it on the tick node but am not sure what to actually do with it. Appreciate it! deltaSeconds is how many seconds has passed between frames. usually you multiply it by a velocity, to make that velocity feel the same at different frame rates. Exactly! When you multiply a per-frame value-change with deltaSeconds, you get a per-second behaviour. That means if you add 1.0 to your velocity each frame and multiply with deltaSeconds, you add 1.0 per second. I've got a five second long timeline that will perform the held action only on the execution of Finished, which only executes if the button stays pressed. Rather than just answering, let me help you understand. Why do you think you need an event tick? i dont need event tick. i try to build a alter that the player need to press E to make a progress (like dead by daylight generator). I would suggest using Physics Forces Instead of Launch in your case (Launch is usually a thing you fire once and not consistently) that you solve with a bool and Branch and hook it into Tick. Alternativly you can Change your Movement Component to Flying Mode and use the Add Movement Input to Controll the Direction. 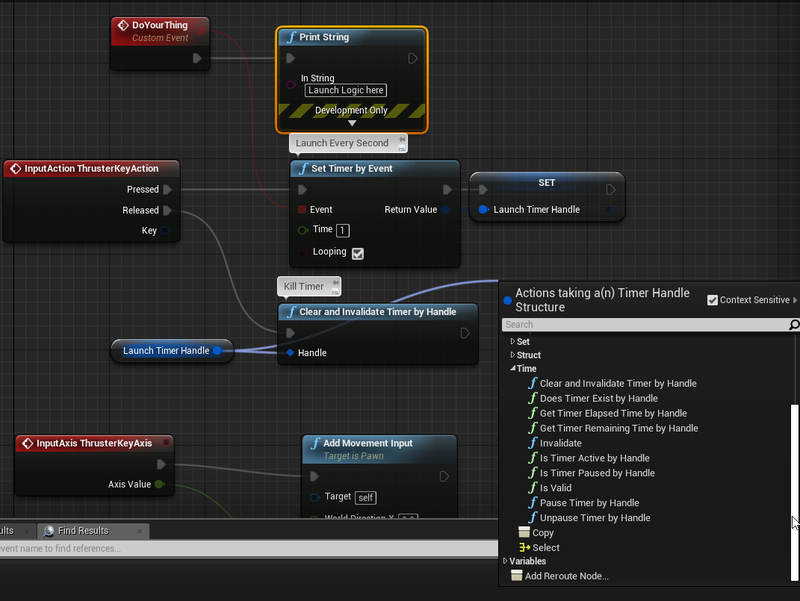 Why listening one input action from two and more different actor blueprints isn't allowing? What is the kosher way to create input action like "Right Bumper + A"?